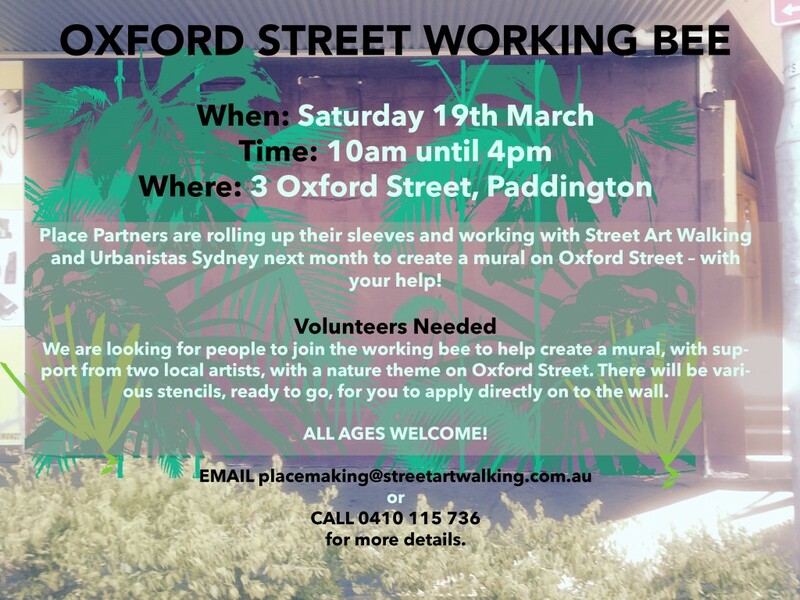 Street Art Walking is excited to announce our first Sydney project working with Place Partners and Urbanistas Sydney to develop a mural for a building located at the very start of Oxford Street. The project has been approved as part of Place Partner’s Oxford Street Activators project and will revitalise a currently tired (and tagged) wall facing the famous, Oxford Street. 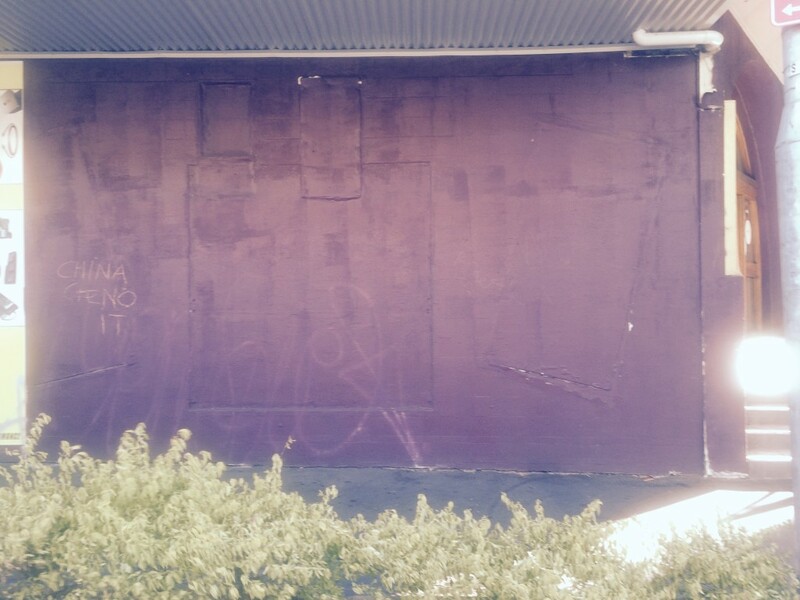 Come and add to the mural with stencils provided. There will be birds, leaves and more! 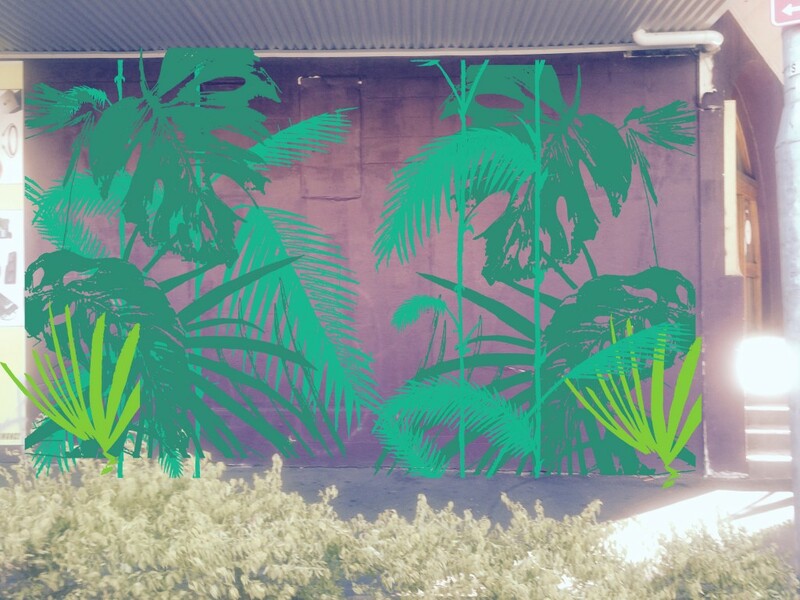 The mural will have a nature theme and anyone who can come to the paint day is welcome to participate!